Backing up your files is a good habit to get into. We have been inundated in the last decade with a plethora of devices to back up data. Most owner-managed businesses will have some form of relatively recent hardware for backups, whether it is burnable DVDs, ultra-portable USB flash drives or high-capacity hard drives (e.g., redundant, external, or network drives). Most recently, off-site backup services have become increasingly available via “The Cloud,” with convenience extolled as a key selling feature. So, what is the best backup solution for your business? The answer depends largely on the size of your business and the number of computers you need to back up. Regardless of how many employees or computers you have, one maxim holds true: at least three backups are required to protect business data. In addition, multiple physical locations should be used to store backup data. 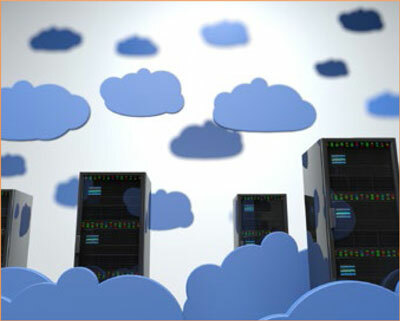 Cloud data storage solutions have some inherent and appealing advantages, such as the ability to provide simultaneous access from multiple locations by multiple devices. Depending upon the service, backups may even happen in near-real time (i.e., after saving a file it may get immediately uploaded to the Cloud). There are also some services that assure the client has communication security and that the provider has redundancy and backups of their own in place. Provided the service is legitimate and reliable, a cloud server may be able to meet all the requisites for protecting your data. Cloud backup and data storage can be expensive. While cloud-based backup and data storage solutions may provide you and your business with many or all of your backup needs, there are some potential drawbacks worth considering. Online backup services operate over the Internet, which will tax your bandwidth and count towards your monthly data cap; if you have a lot of data to back up, this could be an issue. Additionally, while you will avoid the initial upfront capital cost of a physical backup and a data storage device, such as a hard drive, backup services generally require a monthly or annual fee, which can add up over time. Many services start at around $5-$10 per month per computer, although some companies charge based on data usage or data transmission. Internet-based services may also be susceptible to various outages and issues that can occur anywhere between (and including) your computer and the provider’s servers, including all of the routers and servers along the way from your office and Internet provider. Why do you need more than one backup medium and multiple locations? Computer components, such as the hard drive, can fail. Your power can falter, or fail, for an unpredictable length of time. Your Internet can also fail during an outage, after exceeding your bandwidth cap or for other reasons. Computers and/or external storage drives can be stolen. Physical damage can occur to the laptop, desktop or server. Your computer can be infected by a virus or Trojan. Your backup device could fail, leaving your data unrecoverable. Critical data can be erased or overwritten, either maliciously or in error. Your Cloud provider could have an outage. Murphy’s law states: “If anything can go wrong, it will.” Keep in mind that at any moment, any of the 10 items listed above could stop your business cold. Your very ability to keep your business running could depend on having multiple copies of your data in a number of secure locations. Whether you choose to have multiple computers backing each other up, external physical drives, or a Cloud-based solution, the most important thing is to keep your data safe and secure. Consider backup a part of your regular routine. When disaster strikes, your ability to recover quickly will make you smile with the knowledge that in the face of diversity you came through unscathed. There is wisdom in not putting all of your eggs in one basket.